1) The Booth is at 2002. 2) We’re going to have some guests. Kevin Grevioux (Actor/Screenwriter:Underworld, The Hulk, Planet of the Apes, Men in Black) will be signing copies of IDW’s Underworld series he wrote. 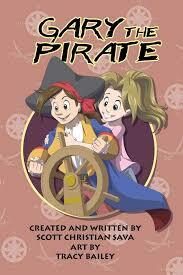 Tracy Bailey (Catena, Gary the Pirate) will be signing. Karen Krajenbrink (The Dreamland Chronicles Character designer) will be signing. 3) We’ll have exclusive TRADING CARDS! You have to come by and get them. We’ll be doing sketches on the back. 4) I have SO many things to bring. I kind of want prednisone 100 mg to run it all by you. Now I know I live on the wrong coast if Tracy Bailey and Karen Krajenbrink are going to be there. on a different note keep up the great work on the comic I love it and the characters are awesome. Keep up the good work. Every time I see Tracy’s book, I think it says, “Gay Pirate.” Those images need to be a teency bit larger and I need new glasses.